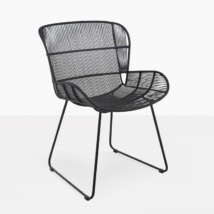 Our Nairobi side chair is both simple and elegant with its outdoor wicker in the smallest weave material that Ecolene® produces, also of course looking glamorous in black. 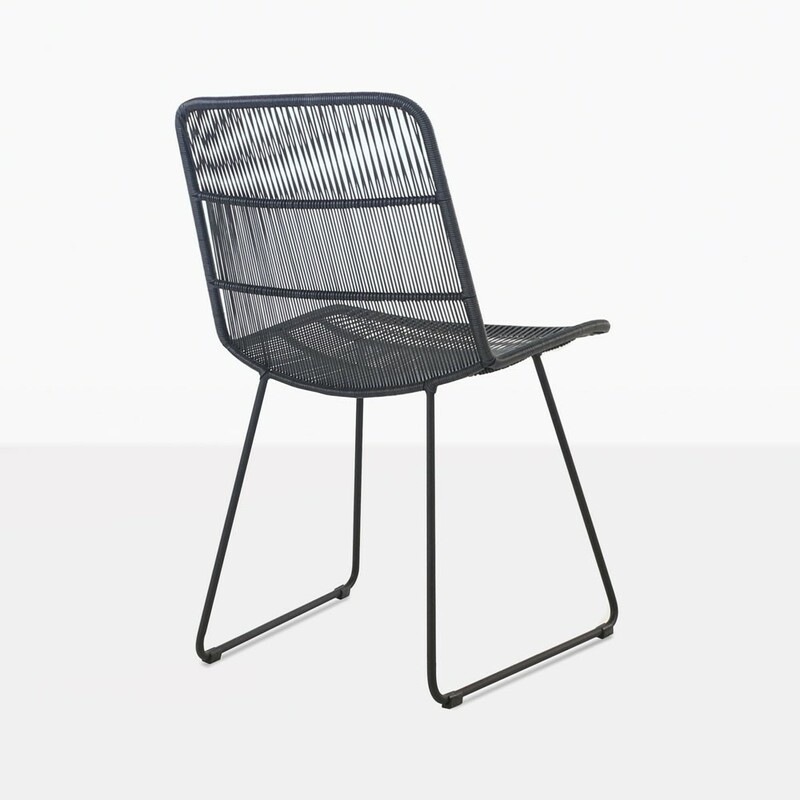 Look for the best spot in your garden or patio to have your dining space. 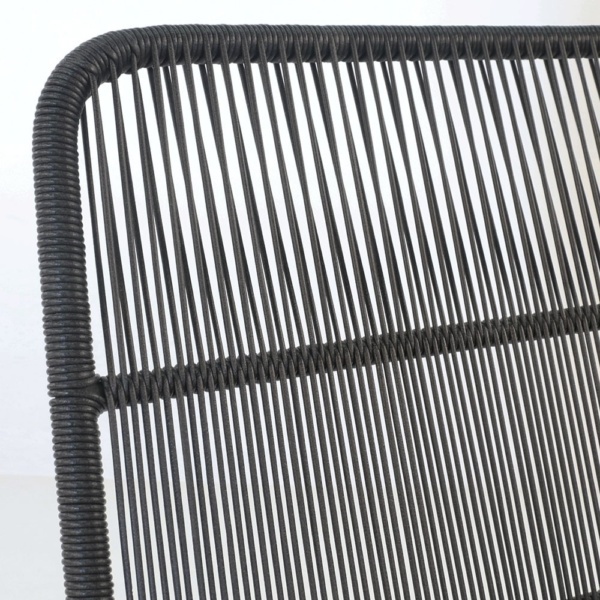 Decorate the table and add these Nairobi side chairs to finish this beautiful picture. You will impress friends with the comfort and ease that comes with Nairobi. 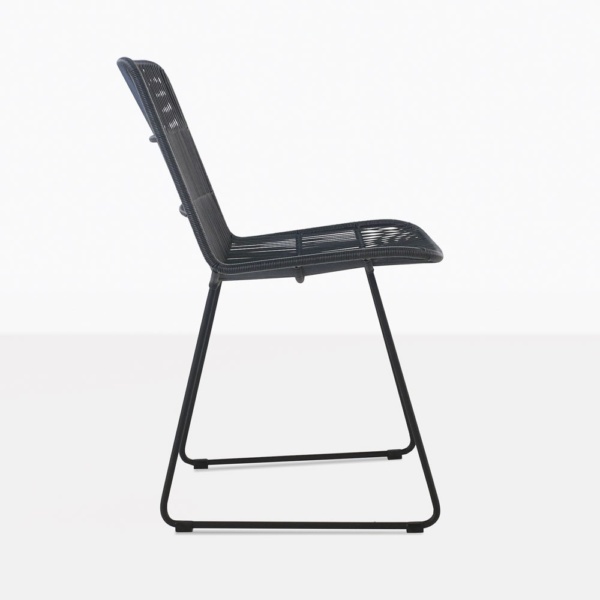 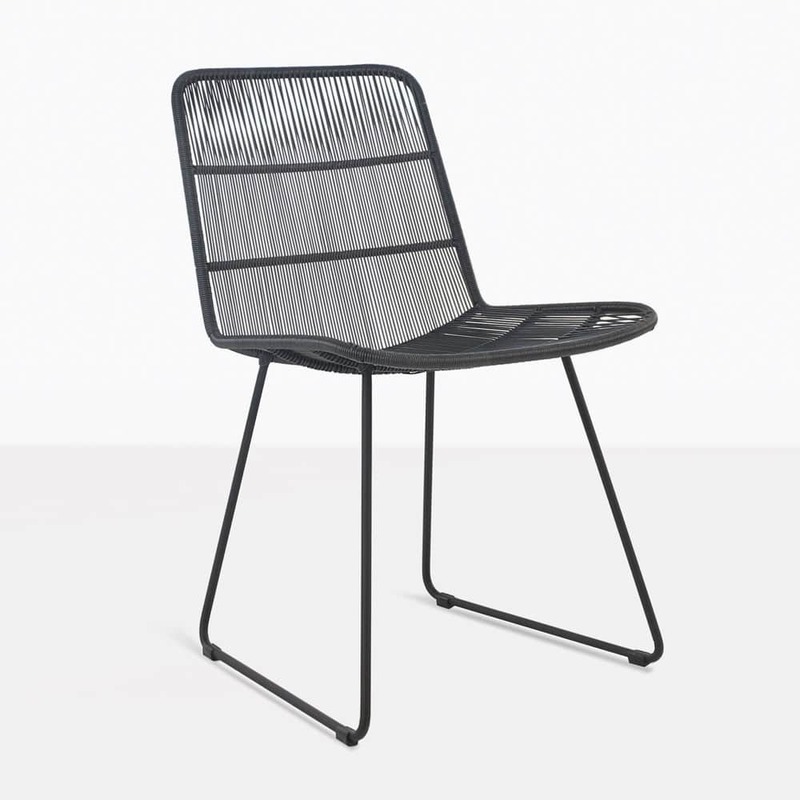 W19.5" x D21.75" x H31.75"
Nairobi is made with high performance powder-coated aluminum legs as the framing and structure, and then the polypropylene weave is artistically woven around the frame. 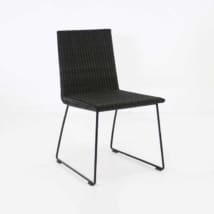 All our woven products are made with the highest quality outdoor materials. 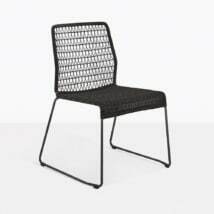 Maintenance is a dream and so easy, just wash the chairs with a light sponge of soap and water and then a gentle rinse with the hose. 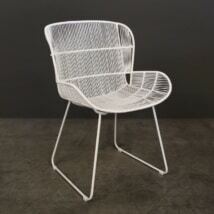 The Nairobi side chair is also available in white.